Noura is a native New Yorker whose love of fitness started at an early age with team sports. She found passion in movement while studying dance at Hunter college and immediately began her career as a dance instructor. Noura realized that weightlifting and functional training were fundamental to living a well-balanced life and so she grew her career with additional specialties. 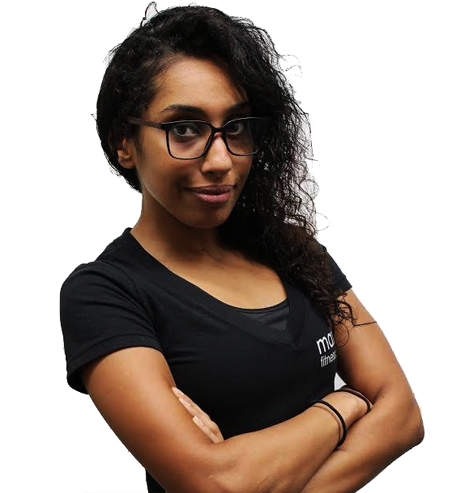 Noura has trained a range of clients, including weekend warriors, athletes and desk jockeys, incorporating traditional weight lifting exercises with barbells, dumbbells, and kettlebells. She strongly believes that an inner athlete lives inside everyone and it’s her job to motivate clients to unlock their physical potential.